SINGAPORE - Remember MasterCard's famous ad campaign Priceless which made its debut in 1997? That campaign, with its catchy slogan, "There are some things money can't buy. For everything else, there's MasterCard", is considered an advertising gem today. And the credit card company is eager for talented marketers - one of several positions it is developing people for - to continue to keep that long-running campaign fresh. Deeper skills are what most modern-day companies are looking for and this dovetails nicely with the Government's aim to harness local talent. Singapore has several ideas on how to develop its people, from the Applied Study in Polytechnics and ITE Review (Aspire) committee's recent recommendations to improve Institute of Technical Education (ITE) and polytechnic vocational education, to various Economic Development Board (EDB) schemes. EDB's assistant managing director, Mr Alvin Tan, said there are three ingredients that the talent pool needs: functional competencies or expertise or skills, industry domain knowledge, and market knowledge. "We think that it's a confluence of these three components that will enable the talent pool to take on opportunities in the future." For instance, the NUS Centre for Business Analytics - a collaboration between the National University of Singapore and IBM, in partnership with EDB - was set up to encourage growth in the area of analytics. EDB also supports about 2,500 people for training every year in various sectors and programmes. "This is looked at in the context of the work that EDB does, as part of our effort to develop sectors. "We track local and foreign investments and, in terms of the jobs created, we are looking at 15,000 to 20,000 a year." EDB also teams up with industry players to develop talent in various ways. For instance, Medtronic, a medical technology devices company, teamed up with EDB to train multi-disciplinary teams. Such teams develop solutions focusing on Asia, and the work includes developing a blueprint of future business models, said Mr Sundeep Lal, Medtronic International's vice-president of strategy, business development, and business model innovation. 3M, a diversified conglomerate and maker of Post-It notes, has also tapped EDB grants under the Industrial Postgraduate Programme (IPP), which was set up to create a pool of post-graduate manpower with industry-relevant research skills. 3M Singapore's managing director, Mr Arthur Fong, said the company has two IPP trainees, with a third joining soon. They are tasked with projects that further develop the trainees' understanding of science and technology. Their areas of focus include drug delivery mechanisms, thermal imaging as well as energy management which is relevant to industry and commercial needs, said Mr Fong, adding that the programme is in line with 3M's strategy of investing in innovation for the future. MasterCard, meanwhile, is focusing on bespoke training for its staff to meet its regional needs, said Ms Aditi Madhok-Naarden, MasterCard's business leader for talent management. 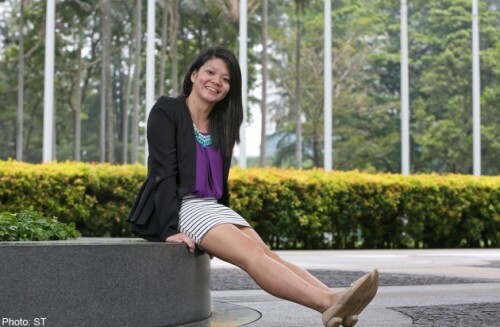 Account manager for global accounts Ariel Poh, 27, has enjoyed such training under MasterCard's management associate programme. The roles she took on in her two-year programme were market development, internal audit and customer delivery, which is a role more technical than the others, as she had to discuss specialised products with clients. Ms Poh adds that the learning curve was steep. "It would have been good if I had taken some engineering background courses or basic programming, but either way I learnt on the job. "What I didn't get in formal education, I had to learn on the job quickly." But there are still challenges when it comes to developing people, according to firms. "Singaporeans and people who work in Singapore tend to have the majority of their working experience here, which means they have relatively limited exposure to working in other markets in Asia-Pacific and farther out," Ms Madhok-Naarden said. Mr Fong added that one criticism is "how Singaporeans are sometimes perceived to be good in execution, but not necessary visionary". "We might not have the ability to serve as change agents or to make revolutionary changes. Singaporeans need to get out of our comfort zones and experience some hardship and volatility in other economies."